Reporters and editors of PolitiFact, the Pulitzer Prize-winning website of the Tampa Bay Times, live fact-check the second GOP presidential debate. Wednesday’s debate is at the Ronald Reagan Presidential Library. That means you’ll likely hear some references to “The Gipper.” But that doesn’t mean everyone has their Reagan trivia right. Read our preview. Our TV partners Scripps made bingo cards for the night. Following along here. Then look for PolitiFact’s Aaron Sharockman to talk about the debate on Scripps stations during your late local news. Welcome to tonight's live blog of the GOP presidential debate. If you hear something in the debate that you want us to fact-check, tweet @PolitiFact with the #PolitiFactThis. I’m Joshua Gillin, a staff writer for PolitiFact, and I’ll be leading the live coverage tonight. We have our entire staff on call in offices in Florida, Washington D.C. and Wisconsin. We’ll be bringing you updates and analysis of the factual claims the 11 GOP presidential candidates are making. We’ll be with you for the entire debate. Tonight’s debate is on CNN. Here’s PunditFact’s scorecard of claims we’ve fact-checked from pundits appearing on the cable network. Earlier today we published a fact-check of debate moderator Hugh Hewitt, who said that history shows that fall sports sap public interest in the election. That rated Half True. Read why. 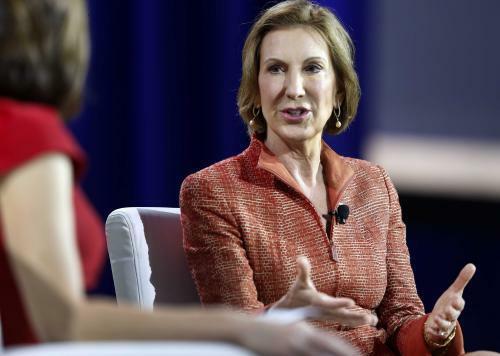 Donald Trump made waves for a personal attack about Carly Fiorina’s face. Trump has also dinged the former HP executive’s business credentials, saying a Yale professor said Fiorina was "one of the worst executives in his memory in history running the company." The attack sticks. It rates Mostly True. Here’s the background on Trump’s dig against Fiorina’s biz credentials. We published a story rounding up the attacks Bush and Trump have lobbed at each other during this campaign. Donald Trump has said before that under Scott Walker, Wisconsin’s budget went from a projected surplus to a deficit. Read about it here. 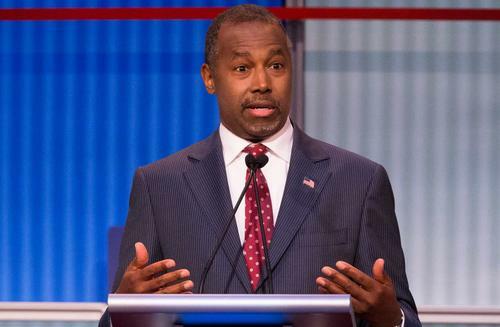 Here’s our tally of claims made by pediatric neurosurgeon Ben Carson. Jeb Bush has made a point to talk about the boom years in Florida while he was governor from 1999-2007. We took a look at several of his claims about the state’s economy during that time. 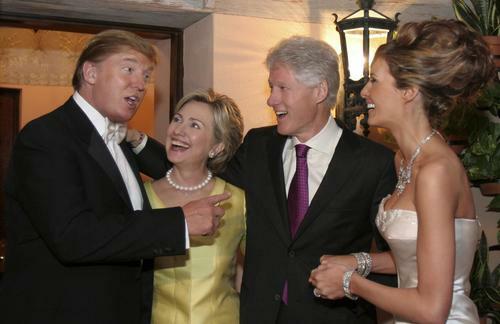 GOP candidates are jumping on Donald Trump for contributing to Democrats. Our recent fact-check digs into Trump’s complicated history of political donations. This fact-check looks at whether Putin called the USSR breakup the greatest geopolitical tragedy of 20th century. Confused by the rhetoric about the deal? Here’s 6 important things to know in our PolitiFact Sheet. Here's what Obama said about Islamic State as a 'JV' team. 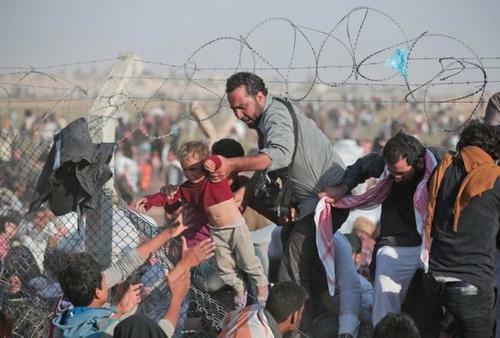 Candidates are asked if they bear responsibility for the Syrian refugee crisis. In July, Donald Trump made a bold claim that the U.S. government was welcoming Muslims from Syria but not Christians. We found there’s no such discriminating policy, and Syrian Christians have been admitted, just not as many as Muslims admitted from that country. Ted Cruz’s record on our Truth-O-Meter. 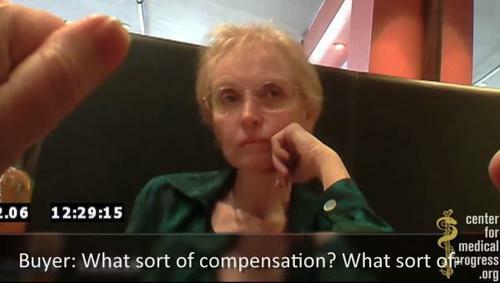 The release of undercover videos by an anti-abortion group of Planned Parenthood executives appearing to talk about the sale of fetal tissue led to an eruption of cable news debate. This explainer aimed to set the record straight about what we know about the group’s fetal tissue donation program, and how much Planned Parenthood’s abortion services compare to its other women’s health programs. This fact-check from our archives looks at Chris Christie's vetoes of Planned Parenthood in New Jersey. Jeb Bush earned a Pants on Fire recently for claiming Planned Parenthood is not “actually doing women’s health issues.” It’s hard to reconcile Bush’s statement with the fact that -- setting abortion procedures aside -- Planned Parenthood offered more than 10 million services in 2013. Those services included contraception, breast exams, pregnancy tests, pap tests and STI testing and treatment. 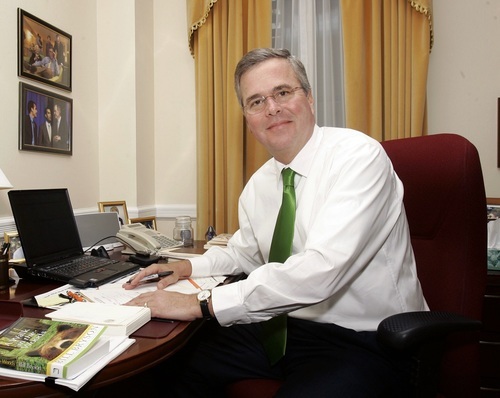 Jeb Bush said he defunded Planned Parenthood as Florida’s governor. We looked into that and found that he had. Donald Trump’s claims about immigrants from Mexico have fared poorly on our Truth-O-Meter. He claimed the Mexican government is forcing “many bad people” into the United States. Pants on Fire! He also has claimed that the real number of undocumented immigrants is between 30-34 million. Another Pants on Fire! Ben Carson says a recent visit to the U.S.-Mexico border has helped him more clearly understand the situation. One claim he has made is that "56 percent of (the U.S.-Mexico) border is not under our control." The number isn’t made up, but the definition of control is a bit squirrely. Trump did say no one had discussed immigration until he brought it up. False. Here’s how Marco Rubio tallied up on our Truth-O-Meter. Anyone, anyone surprised we’re talking about immigration? To learn (a lot) more about immigration -- like close to 500 fact-checks’ worth -- consult our archive on this topic. Our first fact-check tonight is on Trump's dig at Walker for turning $1 billion surplus into $2.2 billion shortfall. Mostly False. The United States is one of 33 countries around the world that offer citizenship to every person born on their soil. Among those 33, the United States admits the highest number of immigrants per year. In contrast, most other developed countries have added more requirements for citizenship. This makes the United States somewhat of an outlier on the issue. Read more in this fact-check. Here’s how Rand Paul’s claims rated on our Truth-O-Meter. Carly Fiorina has pushed back against claims about her tenure at HP by saying part of the story is being left out: Under her leadership, the size of the company doubled, she said. PolitiFact rated her claim Mostly True in May. Donald Trump invoked Yale’s Jeffrey Sonnenfeld and his criticism of Carly Fiorina. We've looked at that before. Chris Christie’s claims on our Truth-O-Meter. Ohio Gov. John Kasich likes to take credit for helping balance the federal budget during the Clinton administration. He should. Read why in our fact-check. Ohio Gov. 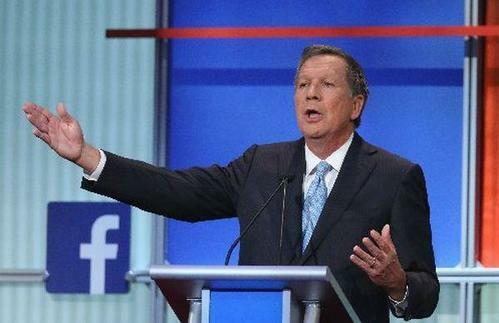 John Kasich says he took the state of Ohio from an $8 billion hole to a $2 billion surplus. That’s Mostly True. Confused about the Fair Tax? Take a look at this Huckabee-inspired primer from our archives. Scott Walker’s record on our Truth-O-Meter. Hillary Clinton has said over and over again that there was no classified material on the private email server she used while secretary of state. It’s hard to tell definitively whether that’s accurate. Read our story. Rubio lamented reductions in U.S. armed forces, which he has brought up before. 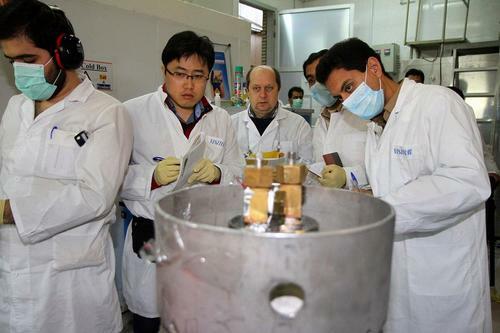 He’s said the U.S. is not currently building weapons to outfit each branch. False. Here’s how Jeb Bush’s claims have rated on our Truth-O-Meter (+1 Pants on Fire since the last debate). Rubio brought up ISIS recruitment. Here's our look at a prior CNN claim that ISIS lures women w/ kittens, Nutella & Emoji. Jeb Bush said last month that the rise of the Islamic State in Iraq was due to President Obama and former Secretary of State Hillary Clinton. 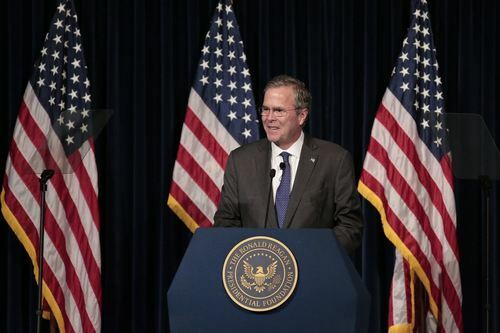 We found that Bush’s claims about ISIS left out some key points in the story. Ben Carson talked about a shrinking Navy. Lindsey Graham has said before we're on track to have the smallest Army since 1940, the smallest Navy since 1915. Half True. Here is how Mike Huckabee’s claims have tallied up on our Truth-O-Meter. Here’s our tally of claims by Ohio Gov. John Kasich. Christie tweaked a Mostly False claim that Bush "appointed" him U.S. attorney on Sept. 10, 2001. Tonight he said "named." 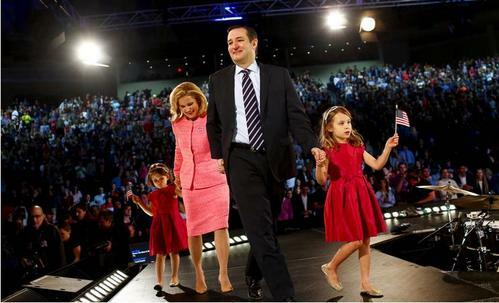 Can Canadian-born Ted Cruz even become president? Probably, but we don’t know for sure. Here’s why. Several readers asked us if Jeb Bush was right when he said Donald Trump wanted casino gambling in Florida, but Bush told him 'no.' We took a look at that tonight and rated it Mostly True. Here's a whole slew of statements PolitiFact has rated about marijuana. PolitiFact Florida looked into how medical marijuana is still illegal under federal law even when states decriminalize it in this fact-check. Whether the U.S. has the highest incarceration rate in the world is a bipartisan talking point. We called that Mostly True. Climate change is a hot-button topic. Check out all of our fact checks on it here. Rubio said back in April that cap-and-trade would devastate the economy "with certainty." False. CLIMATE CHANGE NO. 1 THREAT? 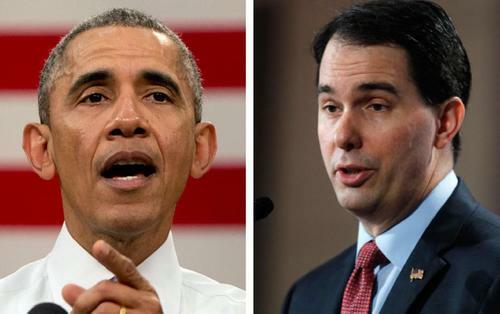 Earlier in the summer, Scott Walker said Obama told the U.S. Coast Guard Academy that President Barack Obama “stood up and actually told the graduates that the number one threat to the military and the world today is global warming.” For misrepresenting what Obama said, we rated that claim Mostly False. 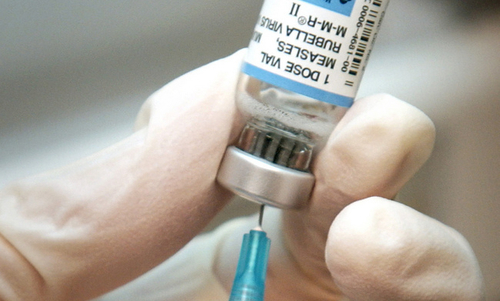 Here's a look at several fact-checks about vaccines and measles. 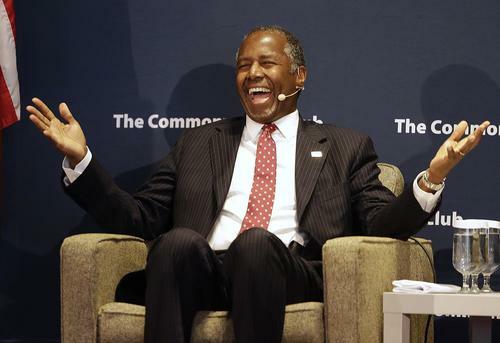 Wondering just who this Ben Carson guy is who’s gaining on Donald Trump in the polls? This fact-check about his early years growing up in an impoverished Detroit neighborhood with a single mom may help fill in some of the biographical blanks. PunditFact examined why Obama won't label ISIS "Islamic extremists" in this story. Bush said in May that there are more poor people as a percentage of our population than in the 1970s. We examined that here. That's the end of tonight's debate. If you heard something a candidate said that you want us to fact-check, tweet @PolitiFact (don't forget to add #PolitiFactThis) or by email at truthometer@politifact.com.